Today, HRC Foundation announced that it will honor LGBTQ advocate E.J. Johnson with the Upstander Award at the organization’s sixth annual Time to THRIVE Conference on February 15-17 at the Anaheim Marriott in Anaheim, California. E.J.’s commitment to the well-being of young people is a family tradition -- five years ago at Time to THRIVE, he presented the same award to his parents, basketball legend Magic Johnson and Cookie Johnson, for being voices for equality and sharing their unconditional love for and acceptance of their son. 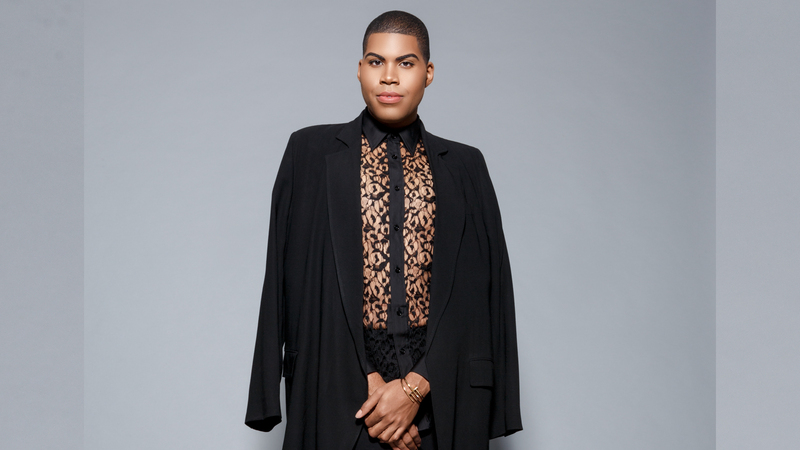 E.J., a television and fashion personality and sought-after talent in Hollywood, made his television debut in 2014 on E!’s hit reality TV series Rich Kids of Beverly Hills. As a standout character, he won over viewers everywhere -- and fans touted “EJ-isms” over social media. In 2016, his spin-off series EJNYC debuted on E!, with cameras following his bold personality and incomparable style to the Big Apple. A vocal advocate for social causes, E.J. has partnered with True Colors Fund, an organization that is dedicated to ending homelessness among LGBTQ youth. At Time to THRIVE, Johnson will join other special guests, including LGBTQ advocate and mother of Ellen DeDeneres Betty DeGeneres; President and Founder of the Dolores Huerta Foundation Dolores Huerta; parent-advocate, founder of FreeMomHugs and subject of an upcoming Jamie Lee Curtis project Sara Cunningham; transgender trailblazer Jazz Jennings and her mother Jeanette Jennings; Los Angeles Rams cheerleader Quinton Peron; and others. HRC previously announced that it will honor advocates Judy and Dennis Shepard with an Upstander Award during the Time to THRIVE conference. The couple’s work through the Matthew Shepard Foundation continues to inspire, bringing hope and support to LGBTQ people around the world who are striving to be who they are, often in the most difficult of circumstances. Judy Shepard has served on the HRC Foundation Board of Directors since 2001. HRC’s Parents for Transgender Equality Council, HRC’s Youth Ambassadors and HRC’s Welcoming Schools Program will also be featured at the conference. HRC’s Time to THRIVE Conference is the premier event addressing the safety, inclusion and well-being of LGBTQ and questioning youth. The event brings together a wide range of youth-serving professionals to discuss best practices for working with and caring for LGBTQ youth and their families in schools, community centers, health care settings and beyond. It is co-presented by the National Education Association and the American Counseling Association. BBVA Compass, AT&T and Toyota are presenting sponsors of the event. The Time to THRIVE Conference features 65 workshops by more than 45 national and grassroots organizations dedicated to improving the lives of LGBTQ youth. HRC’s Youth Ambassadors and Welcoming Schools will also be featured at the conference. Additional speakers and honorees will be announced at a later date. To register, visit www.TimeToTHRIVE.org.